Maui is considered one of the world's top whale watch spots, famous for the proximity of whales to its shoreline and the large number of whales found here. 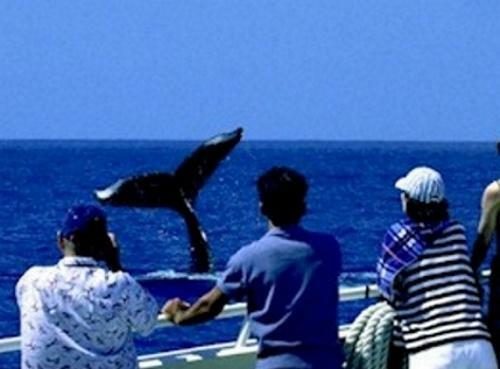 Warm sunny weather, great visibility, and clear ocean waters add up to excellent conditions for whale watching. More than 3,500 humpback whales come to Hawaii each winter to mate and give birth, making the state the nation's primary mating and calving ground for these endangered animals. December to April is classified as whale watching season and it is during this time that the heavily laden humpback females move back down from the waters around Alaska. During their time here the whales do not eat, and come away two-thirds of their original body weight. The "Pacific Whale Foundation" is the resident expert with unprecedented knowledge about the species. Each tour vessel has on-board a certified Marine Naturalists. Be sure to have a listen on the hydrophone to hear the majestic call of these beautiful giants. The company has a remarkable 99% sighting success rate, which is partly due to the fact that each vessel receives up to the minute activity updates from the company HQ. If you don't have good sea legs, you can still view the whales from the shore and in certain hotels on the island, from the balcony of your hotel room. 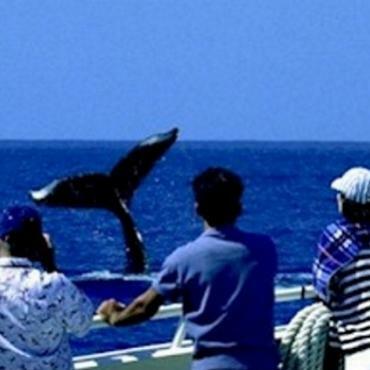 Call or email Bon Voyage to discuss your Maui Whale Watching holiday this winter. The memories will last a lifetime.